This entry was posted on April 2, 2015 by Jessica Anderson. Are you a music teacher hosting a recital for your students? Perhaps it’s a piano recital, a vocal recital, or a violin recital? Are you thinking of giving music trophies or other awards to your students? Maybe you want something that isn’t too competitive, but will keep your students motivated to continue playing and practicing? Here are some recognition ideas for your upcoming performance. 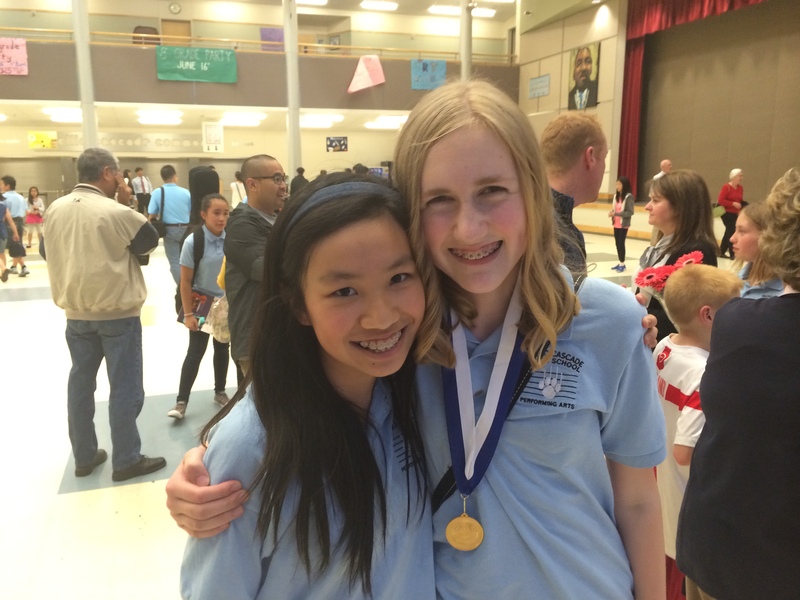 Music medals make great awards for recognizing musical achievements. Music Certificates: Great participation awards, music certificates are extremely popular and low cost. A certificate is a great way to recognize recital participation or a year's worth of lessons. Student can add it to their music portfolio or display it in their room. Be sure to include the student’s name, recital date, and songs performed. Music Buttons: Another low cost option, music buttons are another a fun way to reward participation. At some studios, teachers make buttons for every event a student participates in. The more the student performs, the more buttons they collect. Buttons are fun to display on a bedroom bulletin board or on a music case or bag. Music Medals: Medals are a cost effective and popular option for celebrating musical accomplishments. Acknowledge outside competitions or events that the student has performed at by giving a medal. Kids feel like champions when a medal with a neck drape is placed over their heads! Medals don’t take up a lot of space to store and can be easily displayed by clipping to a backpack or mounting in a shadowbox. See how I displayed my daughter’s music medals in a shadowbox here. When purchasing medallions, engrave the student’s name, name of the event and the year on the back of the medal. Check out our selection of music medals here. Music Trophies: Trophies are a great way to motivate students to improve and to celebrate musical accomplishments. In a range of styles, sizes, and prices, there is a music trophy in every budget. Read below for suggestions of when to give music trophies at your recital. When is it appropriate to give music trophies? - Other musical challenges you invent – be creative! Music trophies and music medals are a very cost effective way to motivate students (and their parents!) and to add value to your music studio. I would suggest buying music awards from a reputable trophy company instead of a music supply store. Not only will the quality be better, but the price will likely be substantially less, and you will be able to get the trophies and medals engraved with your students names and event details. Many times this engraving will be included in the price of the awards. When buying music trophies from an awards company, here are the most important questions to ask to make sure you are getting a good product at a fair price. As the parent of a musical child, I appreciate all that my daughter’s teachers have done to develop her skills. I hope this post helps you with choose the perfect music awards for your next recital. As always, feel free to comment or email me at [email protected] to share your awards story!